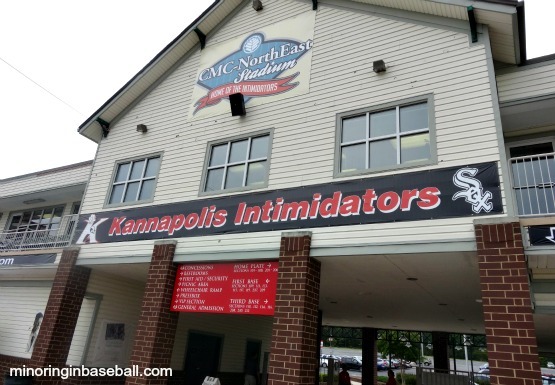 CMC-Northeast Stadium-Kannapolis, NC: Wow…what to do on a day when we only have one game scheduled to attend? 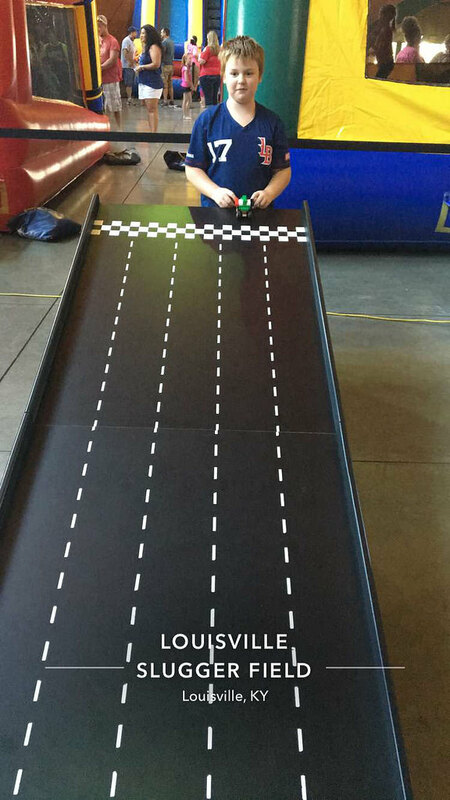 Well, if you’re into the nascar thing, then you would have enjoyed our experiences. Our first stop was in Concord, NC, home of the Charlotte Motor Speedway. Despite the advertising of daily tours around the track, we found they were cancelled because some trucks were practicing all weekend. Great luck, so we poked around a bit and headed out. Just down the street there was a nice little car museum, so we decided to check that out. The highlight for me was seeing a couple of cars used in the movie Talladega Nights: The Ballad of Ricky Bobby (if you’re not first, you’re last…). We still had plenty of time before our game in Kannapolis, so, sticking with the nascar theme, we decided to head back into downtown Charlotte to the nascar Hall of Fame. Our experience there was ok, but decided just to head back north to Kannapolis. We arrived a little early, but noticed that the gates were open. The ballpark wasn’t really open to the public then, but I started chatting with head of ticket sales, and he was nice enough to open the gift shop for me so we could get our souvenirs and put them back in the car before the game. 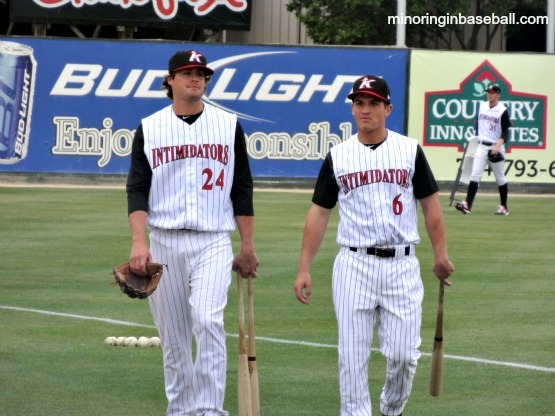 The whole Intimidators staff was very friendly, and treated us well. We actually had time to take and little snooze in the car before the gates officially opened. Before heading inside, though, I took a few pics of the race car parked in front of the stadium…sticking with the nascar theme, of course. 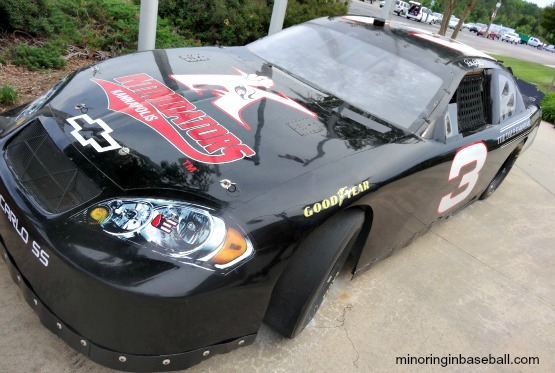 Kannapolis is the birthplace of deceased nascar driver Dale Earnhardt, and the Intimidators are named after him. Inside, we had plenty of time to explore the small ballpark before the game began. 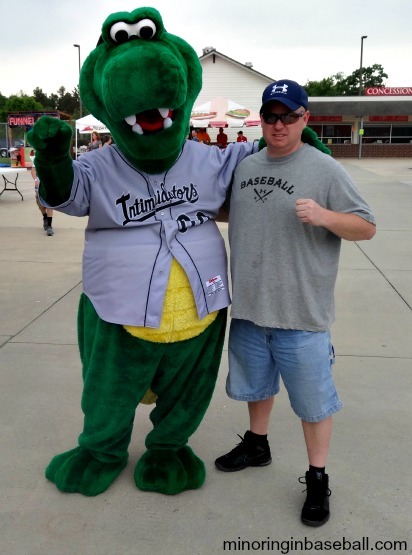 This included hanging out with mascot Tim E. Gator. The concourse was nice, and wide open. There were some good eats, too, but we just stuck with beer and hot dogs. I bought seats in the V.I.P. 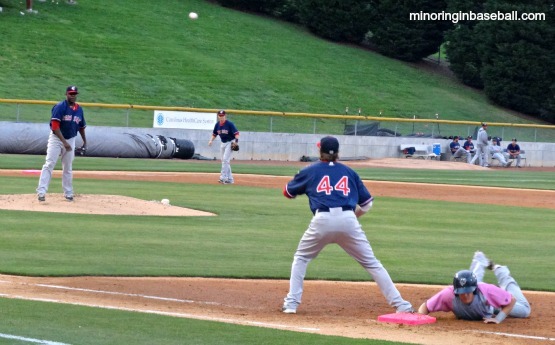 section, right next to the Intimidators dugout. On a two dimensional seating chart, the seats looked great, but in reality, I had a huge pole directly in front of me, and couldn’t see anything. With a small crowd, we quickly found new seats. 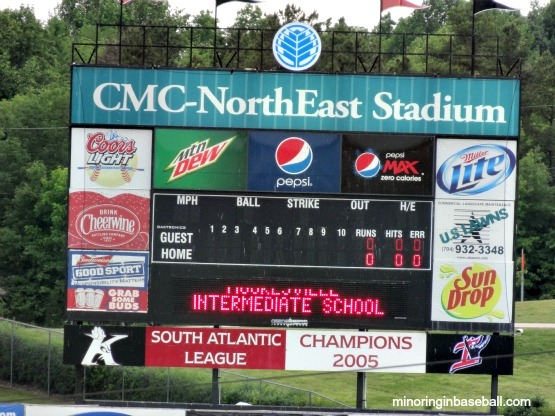 CMC-Northeast Stadium is a nice, unique, ballpark, and was a good low-key end to our adventures in North Carolina, as I really love the South Atlantic League. 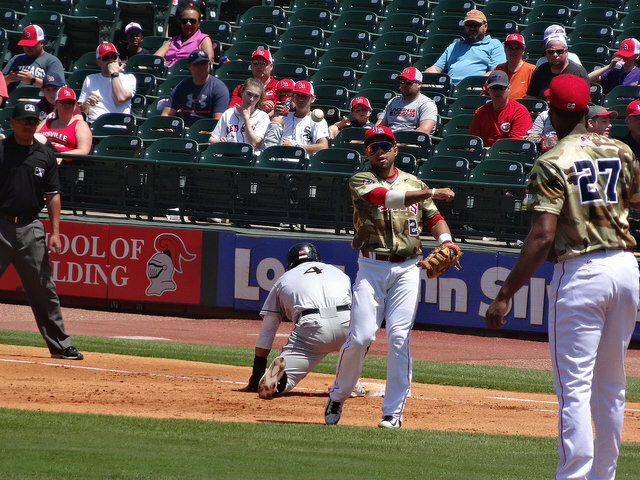 The in-game action started out well for the home town nine. 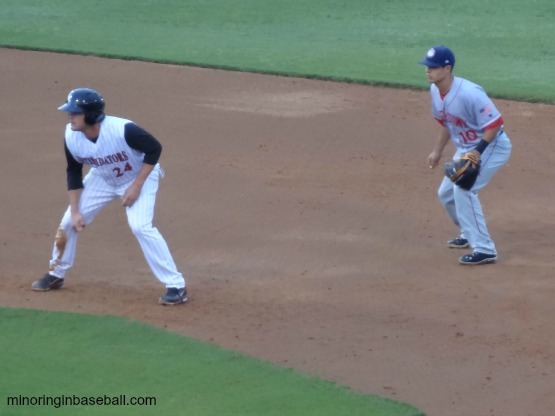 They scored three runs in the first inning, and one run in the fourth to take a 4-1 run lead. 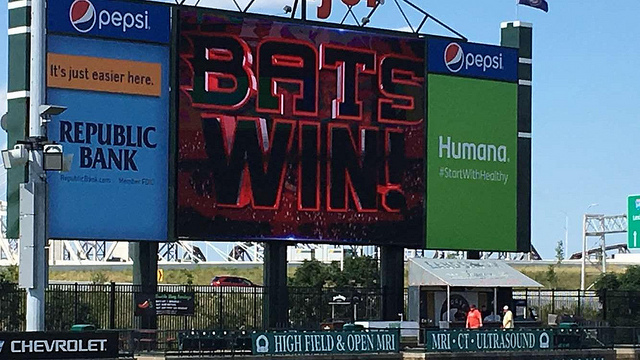 Things would fall apart in the late innings, though, as they gave up four and five runs in consecutive innings to go down 10-4. 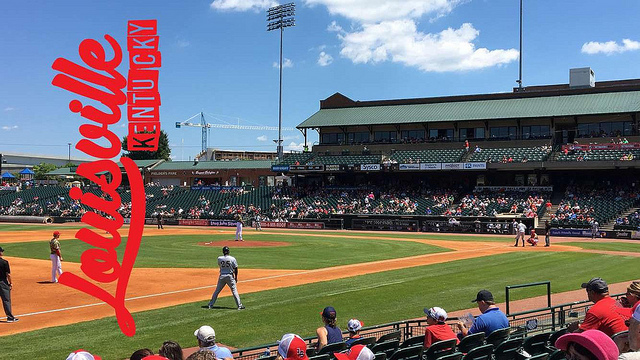 They battled back in the eighth, scoring three runs to cut the Suns’ lead to three, but couldn’t come up with the equalizer. 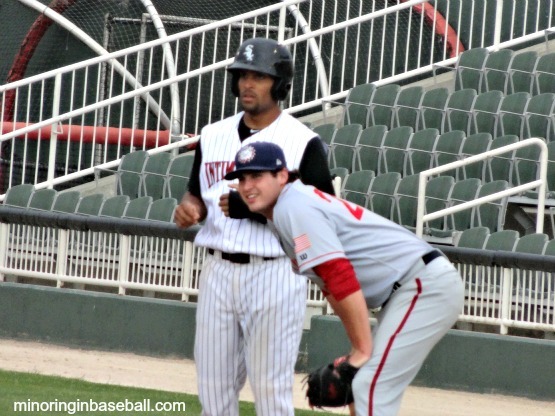 The Intimidators got great production our of right fielder Jason Coats, who went 3-5 with four RBI’s and two runs scored. 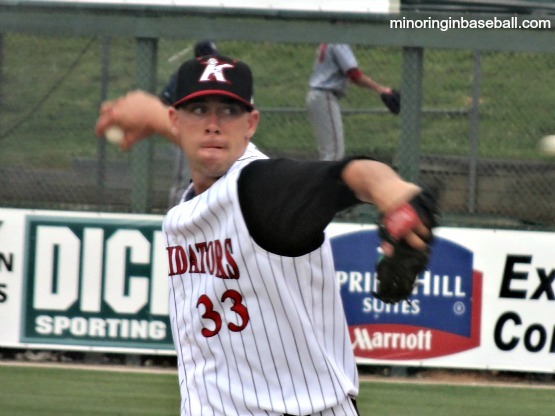 Brandon Brennan took the loss on the hill for Kannapolis, going 6.1 innings and giving up four earned runs. 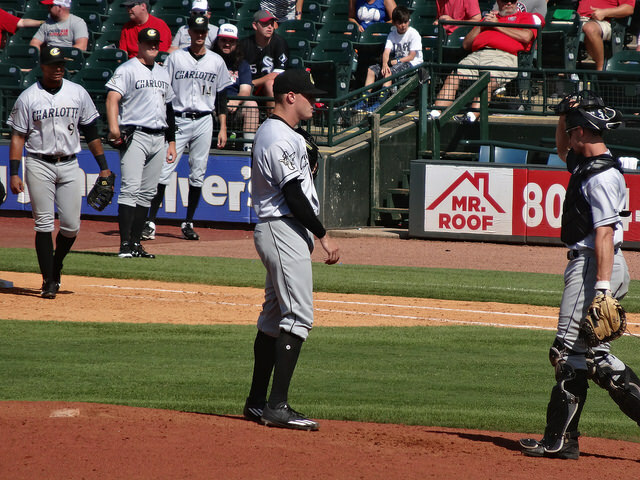 Relief pitcher Todd Kibby really got roughed up, though, not even lasting one innings and giving up four runs on three walks and one hit. 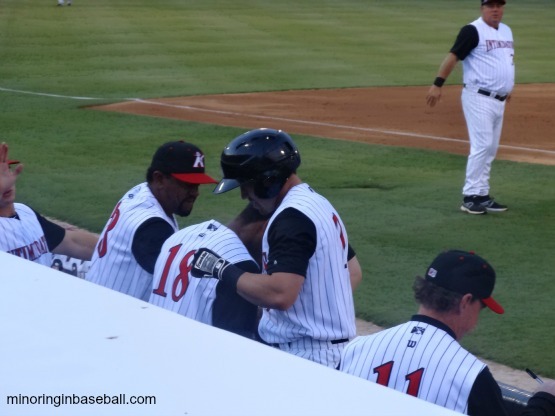 Final score: Intimidators 7, Suns 10. 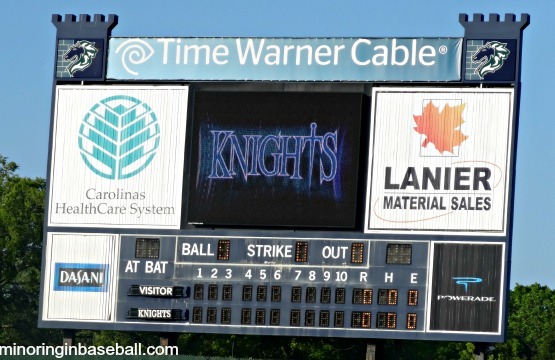 Knights Stadium-Fort Mill, SC: Well, it was a beautiful night in Fort Mill, anyway. The stadium is located just south of Charlotte. It was a Saturday game, so there was a really good crowd, and again it was good to see so many kids and families. 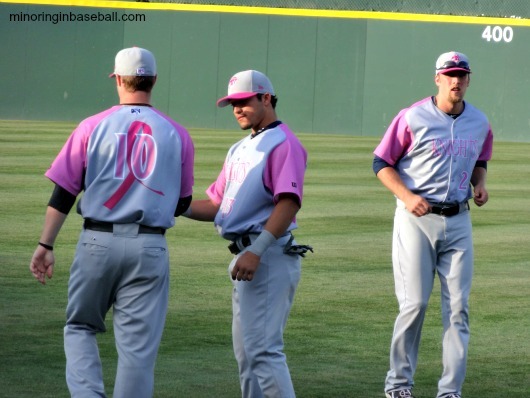 It was also breast cancer awareness night, so the Knights were wearing their pink jerseys that were auctioned off after the game. The Knights had two mascots on hand, with Homer being the boy dragon, but I didn’t catch the name of the female one. The Charlotte Knights cheerleaders/dance team was also on hand, the lovely KnightinGals. Knights Stadium is nothing spectacular, but is good size for Triple-A. It’s a good walk up the stairs from the front row to the concourse. Some fans are excited by the new stadium being built downtown, but most feel it will bring higher prices for tickets and concessions. The current stadium isn’t that far from Charlotte, and has plenty of parking, so I think an upgrade would be better than a new one. We ended up moving from the front row to the upper deck to get a better view of the action, too. There’s not a bad seat in the house, but we love the upper deck. 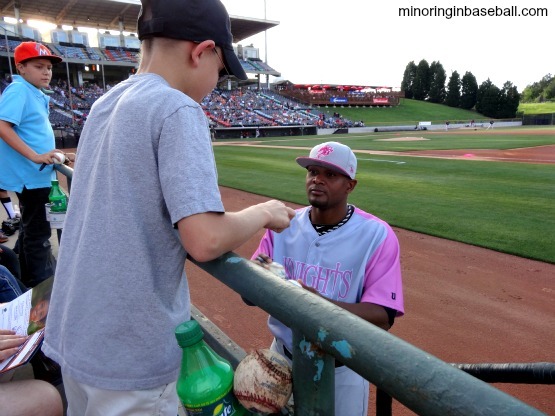 We met some great baseball fans in Charlotte, and it was a great night for baseball. The game itself wasn’t much fun for the home town fans, but there seemed to plenty of Red Sox fans cheering the visitors. 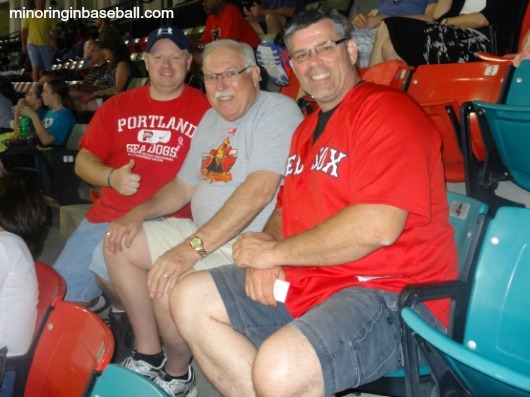 I guess the Nation really is expanded, because we met plenty of BoSox fans in both North and South Carolina. 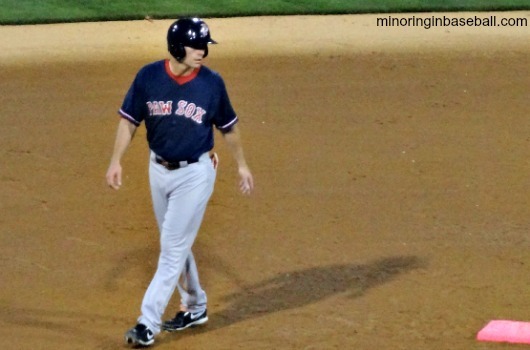 It was good to see former Whitecap Justin Henry play again, also, for the PawSox. 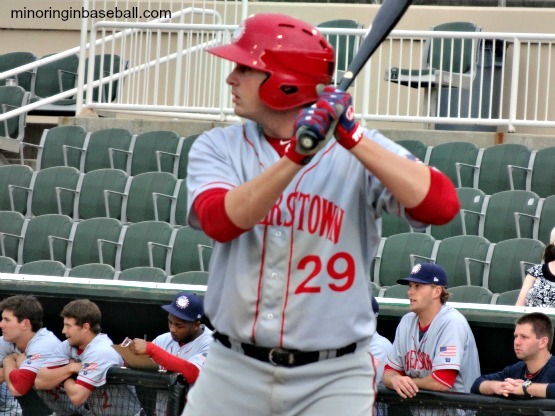 He played in West Michigan back in 2007. 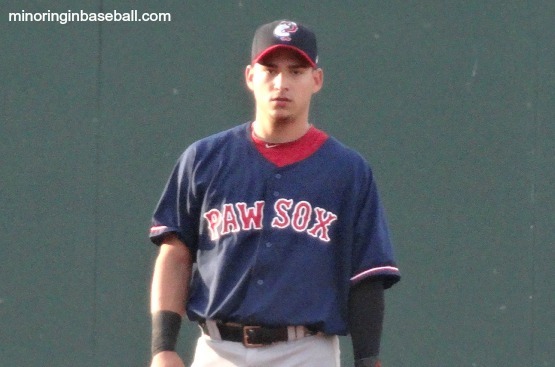 Final score: Charlotte 0, PawSox 4. 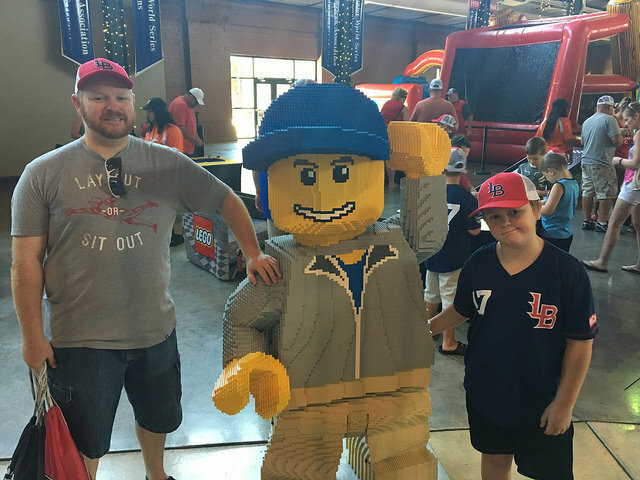 We met some great baseball fans in Charlotte! Summary: This is actually a very cool logo, in my opinion. 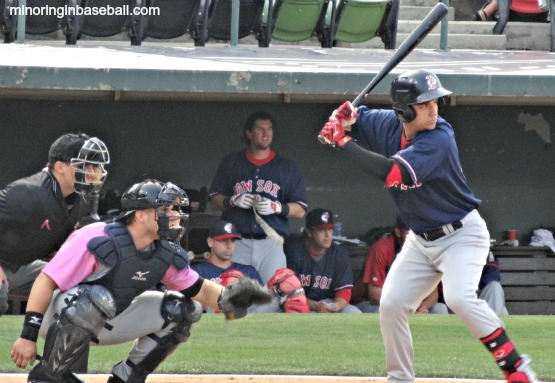 And during this coming seasons’ baseball trip, our second game on the schedule will be at Knights Stadium when the Knight take on the Pawtucket Red Sox. This will be my first time seeing both teams. 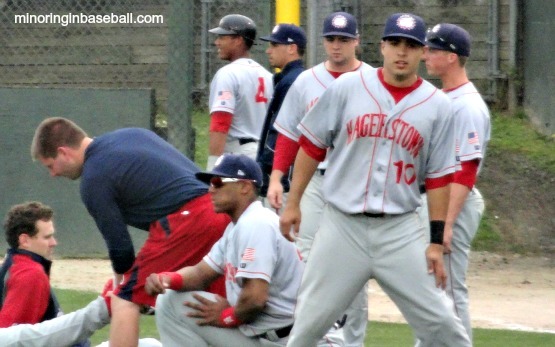 We were in Pawtucket a couple of years ago, but the game was rained out. 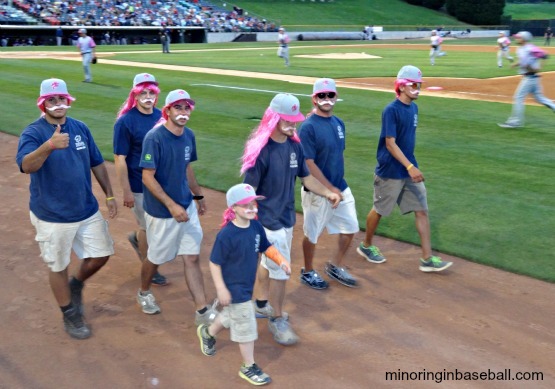 The team represents Charlotte, North Carolina, but the ballpark is located in one of its suburbs, Fort Mill, SC. From what I’ve read, the ballpark isn’t anything special, but a new one is being built as we speak in downtown Charlotte. There has been some opposition to this, and I’m not sure why, but the new stadium looks like it will be amazing. Too bad we’ll miss that one, but I’m sure we’ll have a great time seeing them this year, too. 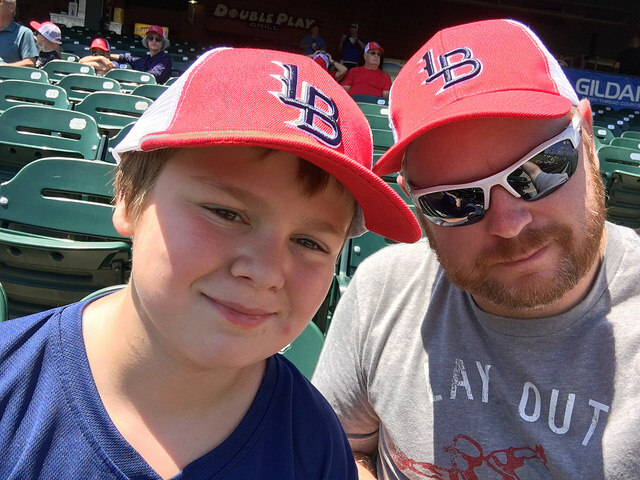 Baseball in Charlotte dates back to 1901, and the Charlotte Hornets (sound familiar?). The modern version of the team dates back to 1976, when famous wrestling promoter Jim Crocket, Jr. bought the team that was in Asheville, and brought them to town to become the Charlotte Orioles. 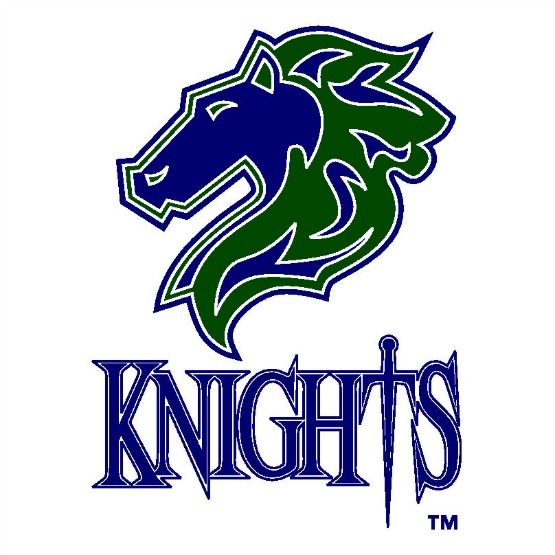 They were then bought by the owner of the NBA Charlotte Hornets, and named the Knights. 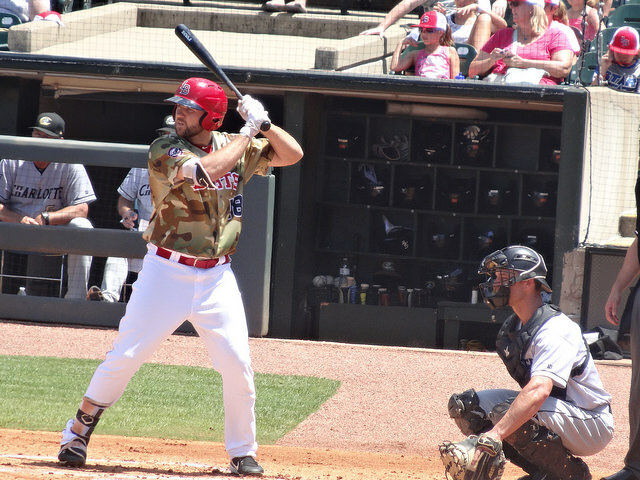 They have been in the original South Atlantic League, which became the Southern League, and then landed a Triple-A franchise in the International League. During their affiliation with Baltimore, the likes of Eddie Murray, Cal Ripken, Jr., and Curt Schilling played in Charlotte. 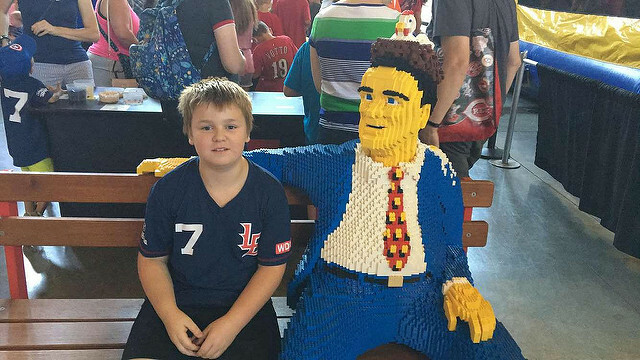 During their stint with Cleveland, fans were able to watch young versions of Manny Ramirez and Jim Thome. 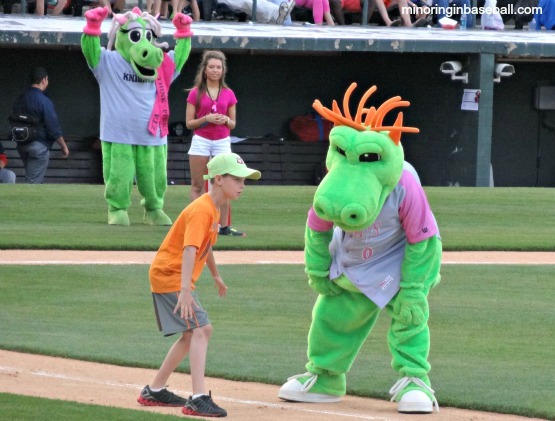 The mascot is a Dragon named Homer, and I’ll do my best to get a photo with that guy. Charlotte looks like a great city, and I am really looking forward to our visit. There is so much else to see and do, also, including the Charlotte Motor Speedway and President Polk Memorial. P.S. 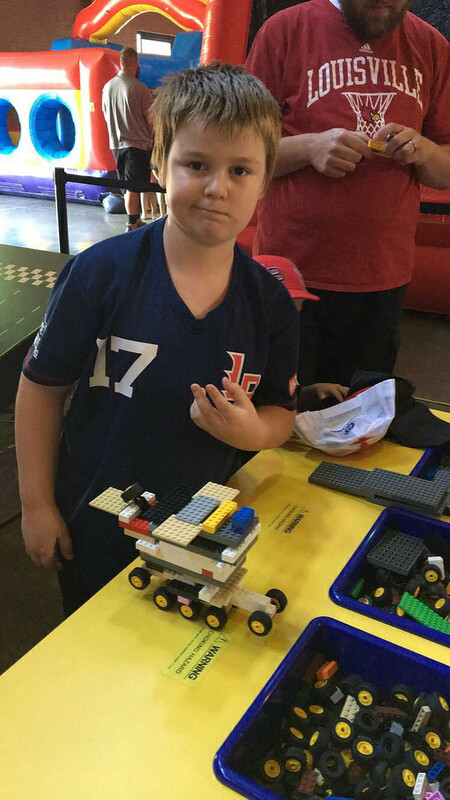 : I know this is the second LoM this month, but if I’m going to get through all the teams before my trip, I’ll have to double some of them up! The kids and I had a great time in 2012, and really look forward to 2013. 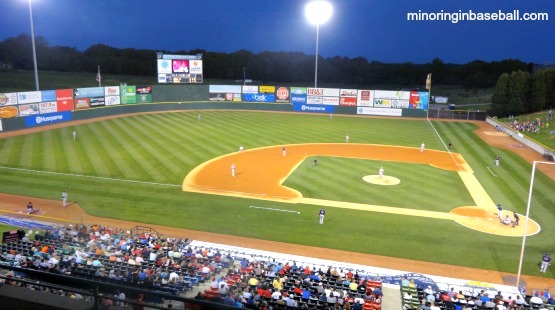 This years’ baseball trip will take us to North Carolina, where we have 12 games planned in just one week! 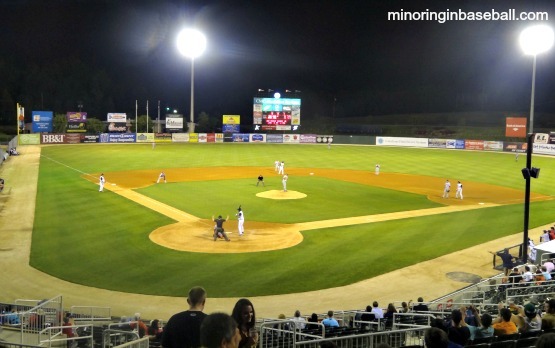 We hope to see the Bulls, Dash, Drive, Knights, Grasshoppers, and Intimidators in action. 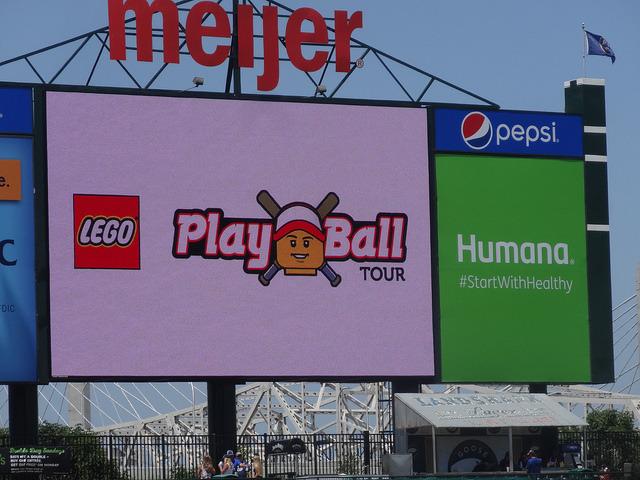 Before that, though, we plan on attending the ‘Crosstown Showdown’ in Lansing, MI, with the LugNuts defending their home field against the Michigan State Spartans. Trevor’s a Sparty, so this is a game he really wanted. We have plans for the other teams in Michigan, too, including the Beach Bums, Loons, Whitecaps, and BC Bombers. Thanks you again to all who have stopped by M.I.B., and all the best to you in 2013!